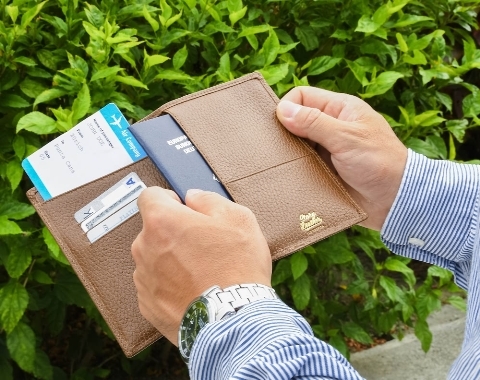 Handmade genuine leather passport holder premade for immediate traveling needs. 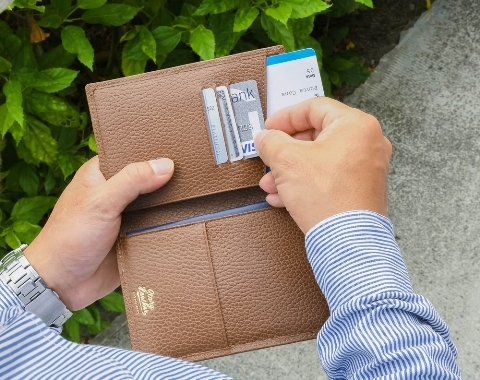 The passport holder goes through the same rigorous quality-controlled production process as all of our custom made to order wallets to give you a passport wallet that is tops in both leather quality and craftsmanship. 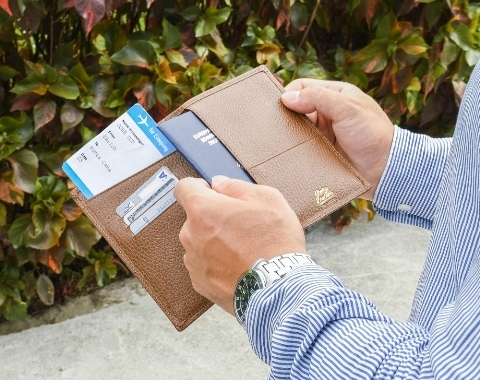 Using the finest workmanship, our team of leather artisans beautifully hand cut, stitch and sew to craft the finest passport wallet on the market. 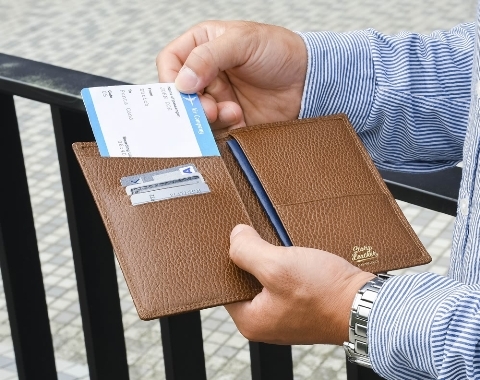 Using only premium genuine cowhide and lambskin, we know you will truly appreciate the quality of the leather wallet as much as our team of leather artisans enjoyed making them. Perfect for personal use, and ideal for gift-giving. The choice is yours. Whether you are looking for leather goods for immediate needs, or looking to be adventurous by custom building leatherware, let Story Leather accommodate both of your needs. Our pre-made leatherwares are made using the same production process as our custom made wallets; every single piece is made one at a time. We offer a collection of pre-made small leather goods simply to meet the requirements of shoppers looking for something right away.